Sanitation - "If ye are prepared, ye shall not fear..."
Disease will spread quickly and be deadly if we do not have a method of keeping sewage out of our living areas. Here are some suggestions. Have a large supply of plastic bags. They can be used for multiple ideas like tarps and rain gear, but they can be used to separate garbage and sewage from the camp areas. If your water is turned off during a crisis, line the toilet with bags. 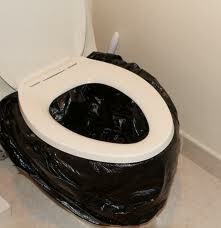 If you have to leave your home, try to unscrew the toilet seats, bag them and take them with you. If not, get the seats that fit buckets and give every one their own where possible. Put some dirt/sand in the bottom to stop splashing. After each use, add a little more dirt/sand. Toilet paper will be scarce. 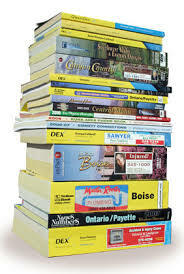 A page from old phone books makes a good substitute! Store several gallons of hand sanitizer. Water will be scarce in a crisis.